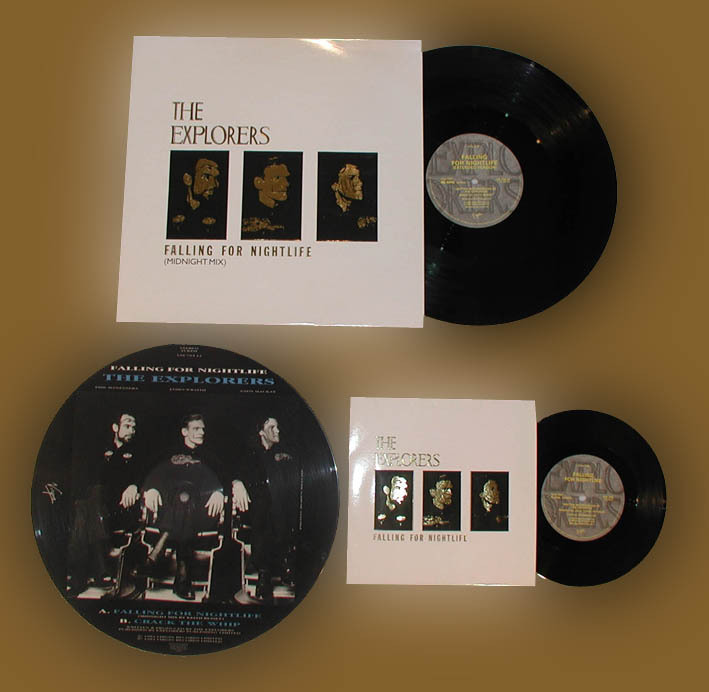 Falling For Nightlife was the second Explorers single. This song was not on the original LP pressing of the debut album but a 12" Midnight Mix was included on the CD of the album. The 7" and 12" were both backed by a new song Crack The Whip.